Every chain of events starts with a push, a catalyst. Traveling to Mennonite World Conference in Paraguay when I was seventeen years old was the catalyst to my interest in Latin American culture. I loved it all: the bright colors, beautiful landscapes, upbeat music, laid-back lifestyle, and the challenge of learning a new language. Since that experience, I’ve had several opportunities to return. I chose to minor in Spanish and participate in a cross-cultural experience to Guatemala and Mexico during my time at Eastern Mennonite University (EMU). Each adventure gave me new friendships and a greater sense of feeling at home in Latin America. I was thrilled to learn about the Student Elective Term as I was getting ready to graduate from the University of Pennsylvania as a Nurse Practitioner. I reached out to several previous participants, one of whom was Ben Ruth. He told me about his enriching time at Clínica Esperanza located in Roatán, Honduras and it seemed like a great fit for me. Shortly after graduating, I left my job as a registered nurse and boarded a plane for Roatán. I remember feeling slightly anxious with unanswered questions as there was not much communication prior to my arrival. I knew very little about what my responsibilities would be or how I would fill my days. However, I was pleasantly surprised to be so warmly welcomed and quickly integrated into patient care at the clinic. 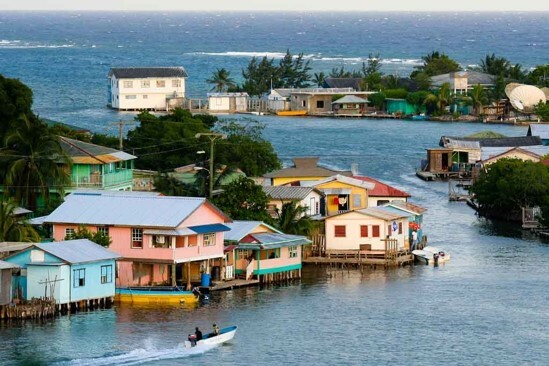 Roatán is an island located 40 miles off the mainland of Honduras with a population of about 50,000. Clínica Esperanza was started by a registered nurse from Ohio in 2001 due to the great healthcare needs she saw while participating in medical brigades. 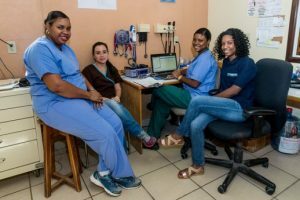 The clinic has a unique partnership between Honduran medical staff, including four physicians, and a fluctuating stream of volunteers from the United States and Europe. In addition to their employees, they typically have about five to seven volunteers at any one time most of whom are medical students and residents. This structure allows for beneficial teaching and learning opportunities for everyone. Additionally, rather than a temporary clinic, Clínica Esperanza is a permanent fixture in the community which allows for long-term medical care and ongoing relationships. 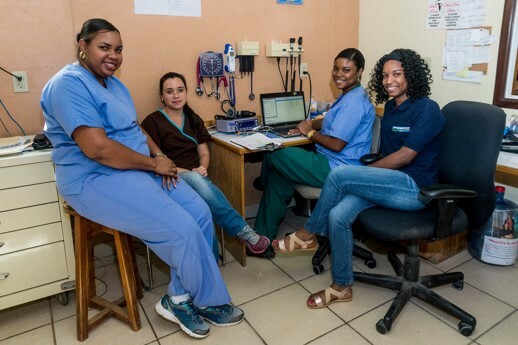 A mix of languages, cultures, and opinions can create conflict at times; however, the clinic staff are experts in navigating the differences and creating a cohesive and well-functioning team. During the seven weeks that I was at Clínica Esperanza, I was able to see patients while working very closely with a supervising Honduran physician. 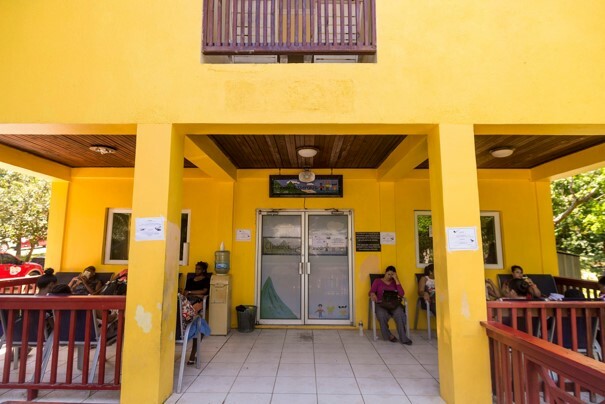 About one hundred patients are seen every day at the clinic, including adults and children. The clinic runs their own blood and urine labs, administers IV fluids and medication, and performs minor procedures. Most patients at the clinic had similar issues that would be seen in U.S. clinics including viruses, hypertension, diabetes, and joint pain. However, I also was able to see conditions I was not familiar with including parasites, malaria, and dengue. Reflecting on my time in Honduras, one of the major lessons I learned was how to provide culturally sensitive care. When I was seeing pediatric patients, I often encountered cultural superstitions that were difficult to understand. Mothers would tightly wrap a cloth around the baby’s torso or a red beaded bracelet around the wrist. These traditions were to protect the baby from “mal de ojo” or “evil eye” which was considered a spell that another person could cast on their baby. As an outsider, it is easy to immediately have thoughts about how horrifying these traditions are when seeing deep indentations in the baby’s skin from the tight wraps. However, the Honduran pediatrician at the clinic, Dr. Solis, taught me a great deal about what it means to practice medicine within a cultural context. He would never diminish or speak negatively about a mother or her care for a child. On the contrary, he always respected customs and acknowledged the mother’s love for her baby. Rather than eliminating these practices completely, we would work with the parents to make them safe. We spent great amounts of time educating mothers on what seemed like common sense safety but was foreign information to a young mother who had never attended school. Medical providers are only as good as their ability to connect with their patients and provide care that is meaningful and understandable. As I return to the United States, I carry with me many great memories from Honduras and a sense of unity. At first when we see other cultures, the differences can seem glaring. People from other places look different, sound different, dress different, and live outwardly very differently. However, medicine has a way of leveling the playing field and reminding me how similar we all are. The world feels a little smaller when I see the universal experiences of pain, injury, and sickness. In a political and cultural environment that emphasizes our differences and pushes us to choose a side, I think about how much more we share. I am reminded in a new way of Jesus’ teachings to love our neighbors, because through serving and partnering with others, we are improving ourselves as a whole community. Creating relationships around the world reminds me that we each belong to a global community that is either harmed or strengthened when individual members are oppressed or lifted up. I hope to continue to learn how participate in and build a more compassionate, hospitable, and generous society. 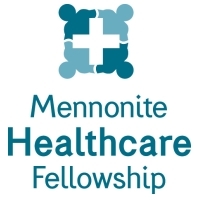 Thank you, Mennonite Healthcare Fellowship for this opportunity. I was able to encounter God in church services I attended, in friendships created, and in working with patients at the clinic. The lessons and memories I have gained will go with me into my nurse practitioner career. Cross-cultural experiences continue to be influential times in my life and the experience in Roatán wouldn’t have been possible without your financial assistance. Thank you! Louise Babikow is from Lancaster, Pennsylvania. 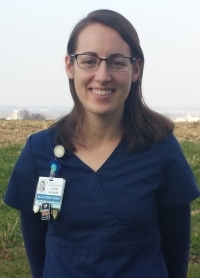 She graduated from Eastern Mennonite University with a BS in Nursing in 2014 and from the University of Pennsylvania with a MS in Nursing in 2017. She completed her SET experience in Roatán, Honduras at Clínica Esperanza. She plans to work in Lancaster as a Nurse Practitioner and hopes to have more opportunities to volunteer abroad in the future.